They say you should learn something new every day. Yesterday I learned that there have been three U. S. presidents who were born in North Carolina. Can you name them? I confess, I only knew one, and only because I'd read a book about him a few months ago called American Lion by Jon Meacham. State Veterinary Hospital. She had a day off, so we went to the North Carolina History Museum, and then walked around the capitol building. I don't have much more to report, except an update on traffic conditions. Once we got 20 or 30 miles south of Washington, DC, then I95 was a breeze, and so was Route 64, until we got to the Raleigh beltway, which is . . . well, it's a beltway. So the three presidents? Andrew Jackson, aka Old Hickory, was the American Lion. He was born in North Carolina, became a military hero, settled in Tennessee and served as president from 1829 to 1837. There was an interesting article a few days ago in The Wall Street Journal about how Jackson was denied the presidency in 1824 in what he perhaps rightfully called a "rigged election." James Polk was also born in North Carolina before following in Jackson's footsteps to Tennessee. He pledged to serve only one term as president, and did from 1845 to 1849, thus keeping his promise. His major accomplishments? He negotiated the 49th parallel as the border with Canada and annexed Texas as the 28th state in the Union. Andrew Johnson was the last of the three to follow a similar route from North Carolina to Tennessee to the White House. Johnson remained with the Union after Tennessee seceded, and as a Democratic senator was chosen to run for vice president on a unity ticket with Lincoln in his 1864 re-election bid. Johnson soon took over the presidency, after the assassination of Lincoln, and fought bitterly with Republicans who wanted to move more quickly in granting rights to former slaves. Johnson was impeached, acquitted by one vote, but failed to get his party's nomination for a second term. He then returned to Tennessee where he was re-elected to the Senate. And that's enough about North Carolina. Now it's on to Charleston where . . . where the Civil War began at Fort Sumter. But we're going to the beach, not a museum. Is it me, or do our highways seemed ever more hellacious than ever? I recently noted that CBS reported roadway fatalities are up by about 18 percent over the past two years, because of speeding, distracted driving, and driving under the influence (of drugs more than alcohol these days). We are on our way to Charleston, SC, where we will spend two weeks on the beach . . . and perhaps a little time looking for our retirement home as well. We know that I95 is a horrible place to drive, especially in Delaware, Maryland and down to Washington, DC. So we came up with the idea of traveling west through Pennsylvania on I78 and then south on I81. Not a good idea. I78 is a major truck route, and the trucks these days seem worse than ever. It used to be you could count on the trucks plodding slowly uphill, then barreling down at 10 or 15 miles over the speed limit. But some of the trucks must have a new kind of technology. Because some trucks follow the old pattern, but others can now maintain their speed uphill, challenging those slopes at 70 or 80 m.p.h. For the regular car driver, it's harder to predict what the trucks will do; harder to negotiate your way around those big behemoths. Adding to the problem: there is construction on Route 78 (as there is on a lot of other highways). The speed limit is normally 65 m.p.h., but with traffic cones in some areas and no shoulder in others, the signs now post 55 m.p.h. Of course no one pays attention to the signs. The flow of traffic in my lane, the slow lane, is between 60 and 65. In the left lane the cars and trucks are chugging along at 70 m.p.h., with the occasional outlier weaving in and out at closer to 80 m.p.h. Truth is, we almost bought the farm when I got caught behind a slow truck going uphill, and merged into the left lane to pass him. It was the day before yesterday, a little after 6 p.m. Dusk. I was driving and had slowed to 55 m.p.h., stuck behind a slow-going semi. I flicked on my blinker, sped up to pass, checked the rear-view mirror, then started to move over. I didn't see the black Dodge Charger coming up to pass me at almost the same time. The Charger must have been going close to 80. A car horn honks. I see a black shape suddenly fill up my side-view mirror. I can tell he is braking because I see the front end of his car dip down. It's all over in a half a second; and I'm passing the truck with the Dodge Charger inches from my tail. I get by the truck. Move back over into the right lane. The Charger follows me for a minute in the left lane. Maybe he's been chastened for a moment by the instantaneous close call. Then he apparently switches back into his usual damn-the-torpedos mode, and speeds past me accelerating up to 75 or so. We make our hotel in Harrisburg for the night. But I am still a little unnerved, and I realize that my close call was as much my fault as it was the Dodge Charger's fault. Even though he was speeding, even though he wasn't very visible in his dark car in the darkening road, I should have looked more carefully, should have seen him coming. Good thing I'd used my blinker to change lanes -- at least that gave the Charger time to react. Regardless, B and I almost became a statistic -- one of those 18 percent -- for even with airbags and seatbelts and crash zones, I don't think we'd stand much of a chance in a pileup with a ten-wheeler and a speeding Charger. Our experiment to travel south via 76 and 81 is over. I instead cut back down a secondary road and catch the Washington Beltway going south to Virginia. (Also known as the Outer Beltway.) Traffic around DC is always bad, although honestly I've seen worse. It was just crowded, with cars and trucks changing lanes constantly, and a confusion of signs that can do nothing but perplex those of us who are unfamiliar with the traffic lanes of the Beltway. But they now have HOV lanes south of Washington, DC., which makes the traffic flow more smoothly. By flow more smoothly, I mean the traffic moves at all, and is no longer backed up for miles while construction closes lanes and redirects traffic. But honestly, I like the way they do it in New Jersey better. 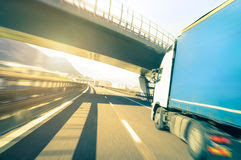 Instead of HOV lanes, they have one set of lanes for trucks, and another for cars, separating the ten-wheelers from normal folks in normal cars. The New Jersey Turnpike used to be a horror. Not quite so much anymore. Now it's a decent highway out of New York to Philadelphia and beyond. Unfortunately, there are no separate truck lanes south of New Jersey . . . or on Route 78 either. Now, if only they could create special lanes for Dodge Chargers rocketing along at 80 m.p.h. When you find out who this is, you're going to remember her under another name. Is that confusing? Maybe. But it's also a hint. She was born on July 4, 1918, the older of identical twin sisters, in Sioux City, Iowa. She was named Esther Pauline, and her sister was called Pauline Esther. Their parents were Russian-Jewish immigrants who made good as her father built up a successful movie theater business. The two sisters were close as children. They graduated from high school together; they both went to Morningside College in Sioux City; and on July 2, 1938, they celebrated a joint wedding ceremony. Then Esther and her husband moved to Eau Claire, Wis., where she became active as a volunteer in Democratic politics. By the 1950s Esther was living in Chicago. Her husband, Julius Lederer, had founded the Budget Rent-a-Car business, and they were quite well off, but Esther was getting tired of being a stay-at-home wife and mother. She offered to help out in the Chicago Democratic party but was rebuffed. Then she queried a local newspaper, asking if there were any job openings on what was then known as the "women's" page. What she found out was that the woman writing the advice column had just died, and the paper, the Chicago Sun-Times, was looking for a replacement. The paper held a contest. More than 20 women, mostly employees from the Sun-Times, sent in their entries. But it was Esther who won the contest, largely because she didn't just give her own opinions, but also offered advice from experts, including a judge and a college president who she knew from her earlier days in politics. Her first column appeared in October 1955. It opened with a letter from a "non-eligible bachelor" who'd been disappointed in love and did not want to get married. Her advice: "You're a big boy now ... don't let spite ruin your life." 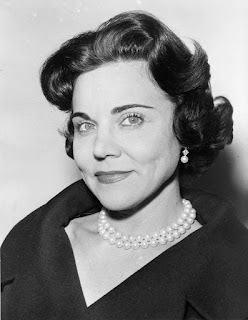 So it was that Esther "Eppie" Lederer became Ann Landers, which was actually a fictional name created a decade earlier by Ruth Crowley, a Chicago nurse who had first written a child-care column for the Sun-Times and then expanded it into a syndicated advice column. Crowley had borrowed the name Landers from a family friend, while keeping her own name a secret, even making her kids promise not to reveal her true name. Eppie Lederer was not so circumspect about her true identity -- everybody in the journalism world knew who she was -- but for the public she was forever Ann Landers. In her column she answered whatever questions readers lobbed her way, taking on a broad range of topics, from dating to drugs, acne to AIDS. She mostly took a practical, common-sense approach, writing in colloquial terms, sometimes offering up a sharp one-liner, while leaning liberal on social affairs and more conservative on personal behavior. However, she was not a complete stranger to controversy. She was against the Vietnam war. She was pro-choice, pro-gun control, and in favor of legalizing prostitution. She supported equal civil rights for homosexuals -- although she never got on board for gay marriage since, "it flies in the face of cultural and traditional family life as we have known it for centuries." She also shared some of her own struggles, informing her readers of her own divorce in 1975 and airing some personal conflicts in public. In an odd twist, soon after taking over the column, Landers found herself competing with her own twin sister. Under the name Abigail Van Buren, Pauline began writing the "Dear Abby" column which also gained widespread popularity. "I felt betrayed," Landers said later, "because she didn't tell me that she was considering it -- she just presented it as a fact." Landers severed ties with her twin, and their estrangement became bitter and widely publicized. The two sisters didn't speak for almost a decade, but reconciled in 1964 in advance of their mutual 25th wedding anniversary. Eppie Lederer wrote the column until she died of cancer in June 2002. The Ann Landers advice column died with her. However, her editors brought out "Annie's Mailbox" which was syndicated to newspapers, until it finally ended in June 2016. Her twin sister continued to write Dear Abby until she retired in 2002, when her daughter took over. Pauline died in 2013. Eppie Lederer -- who often worked from home, and sometimes in her bathtub -- never received the respect she deserved from the journalism establishment. But in its heyday the Ann Landers column was carried in over 1200 newspapers around the world, with a readership of some 90 million people. The 1978 World Almanac named her the most influential woman in America. Which for her was great success, for as she once said, "I would rather have my column on a thousand refrigerator doors than win a Pulitzer." 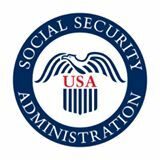 The Feds just announced the increase for Social Security benefits for next year. The increase is 0.3%. So in 2017 the average beneficiary will see an extra $4 in their monthly benefit. Of course even that measly $4 -- and more -- will likely be taken away from recipients to pay for Medicare. So far as I know, Medicare has not announced any increase for next year. But wait . . . I can't say that this post is primarily designed to be informative; it's simply meant to further the discussion. The typical reaction I've seen around the Internet reads something like this: I worked all my life and paid Social Security taxes for almost 40 years, and now Social Security gives us virtually no increase to help us pay our bills. They say the reason is because there's no inflation, mostly because the price of gas has gone down. Well, that's great for truck drivers and uber drivers. But what about the seniors who actually rely on Social Security? Food prices are going up, medical costs keep climbing, and pretty much everything else (except for gasoline which we don't even use much anymore since we don't commute) is more expensive than last year. What are we supposed to do?!? Well, to revive an old Clintonism, I feel their pain. I just paid the latest installment of the tax bill on my condo. I noticed it went up $100 from last year. That doesn't seem too bad. Except it comes to 3.5% -- or more than ten times the rate of the Social Security increase. My sewer tax went up from $300 to $330 for the year. That's a 10% jump! Honestly, I do not follow my own budget that carefully, so I can't really portray myself as a good judge of how much "real" inflation is, compared to the official figures. I do remember the 1970s, when prices seemed to increase every month. Inflation these days is nothing like that. And yet, we're planning a trip to South Carolina in a few weeks. The hotel prices seem huge! And prices on airbnb and homeaway don't look much better. Predictions for the death of inflation may be premature. My medical insurance has not increased. And when I moved to Connecticut from New York, the bill for Medicare advantage actually went down by a few dollars. That's good news! But then I went to the doctor yesterday for my annual physical. 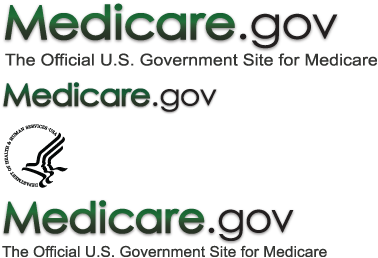 It seems that, instead of raising prices, Medicare may be stealthily cutting services. I used to get an annual physical, complete with blood tests and an electrocardiogram. But now, I'm told, Medicare will only pay for a Wellness visit. The Wellness visit does not include a blood test for cholesterol, triglycerides or other factors -- unless you already have a history of heart disease. In other words -- in a switch from the previous situation -- Medicare will pay for a pre-existing condition; but it will not pay to diagnose a new condition. That seems kind of backwards, doesn't it? Fortunately, I don't have a lot of medical issues, so it's not a big problem for me. But the doctor did prescribe one drug. I'm going to pick it up at the pharmacy later today. I'm holding my breath, wondering how much it's going to empty my pocket. In this week's roundup of baby boomer blogs we say goodbye to some people and some old passions, and we say hello to a few new efforts. First and foremost, Meryl Baer of the blog Six Decades and Counting remembers her mother-in-law who died earlier this week at the age of 90. Check out The Woman in the Polka Dot Dress as she recalls "one helluva feisty lady." Laura Lee Carter says goodbye to her old blog The Midlife Crisis Queen, which was dedicated to encouraging "those who struggle with midlife change, those who wish to transform their lives into exactly what they have been dreaming of for decades." But in the process of writing her blog, Carter realized, she changed her own life, and now she announces the birth of her new book, available on amazon, A Memoir of Retirement: From Suburbia to Solar in Southern Colorado. 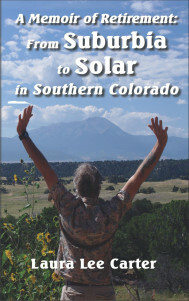 In the book she tells the story of how she and her husband struck out for the Spanish Peaks to achieve their own retirement dream of solar self-sufficiency. Laura Lee Carter is not the only retiree to go Off the Map. 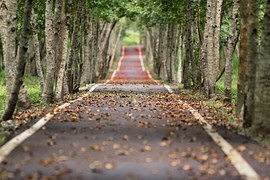 Over at Heart-Mind-Soul, blogger Carol Cassara reminds us that some of the most beautiful experiences come when you take a detour. Deviate from the plan. Go off the trail. Or, as she quotes from Herman Melville, "It's not down on any map. True places never are." And speaking of journeys, Carol also goes back to last year to share some of the interesting things she found while Cruising Weirdtown, USA. Take a look. It might give you some perspective on Hillary, or if not, make you wonder why anyone ever (is that a real thing?) thought up the idea of the banana sling. Meanwhile, we've all heard about how Wells Fargo bank went off the rails by opening thousands of accounts that people didn't want. Now on the The Survive and Thrive Boomer Guide, Rita R. Robison, consumer journalist, tells us that Comcast Corp. has done a similar thing. The company agreed to pay $2.3 million to resolve charges that it billed cable TV customers for services and equipment they didn't ask for, such as premium channels, set-top boxes, or digital video recorders. Finally, Kathy Gottberg offers a post about the California mega-concert aimed at Baby Boomers called Desert Trip, featuring Noble Prize winner Bob Dylan as well as the Rolling Stones, Paul McCartney, Neil Young, and others. But actually, her post is not so much about Desert Trip as it is about making choices. "How many times do we all make a decision and then face either regret or FOMO (Fear of Missing Out)? . . . What helps us decide? How do we ever know if we've arrived at the best choice?" Take a look at How to Make the Right Choice or the Power of the Bigger Yes. And then you'll know how to say good bye to the past, and hello to the future. Meanwhile, here's an old song from the new Nobel Prize winner, with a one minute intro. from Pete Seeger, and then the song starts . . . Probably the best known town in Bucks County, Pennsylvania, is the borough of New Hope, Pa., a popular destination for middle-age bikers who ride their Harleys down from New York and New Jersey to hang out on the banks of the Delaware River. New Hope is home to the well-known Bucks County Playhouse, and its streets are lined with cafes, gift shops, head shops and arts-and-crafts stores. But if you head west about 10 miles, you come to the Bucks county seat of Doylestown, Pa., which has its own history and its own charms. And that's where we are for a few days, 40-some miles north of Philadelphia, staying in a very nice airbnb on the outskirts of town . . . I mean, borough, which is what they seem to call their small cities around here..
We've done a little house-hunting -- as we do practically every place we go these days. And, like everywhere else, the homes may be slightly less expensive than they are in New York metro . . . but not so much cheaper that it would change the financial picture of anybody's retirement. I managed to play 9 holes of golf while I was here. I also did some work on my part-time job. And then, yesterday, when B went to visit her sister who lives an hour west of here, I enjoyed a walk through town and took a few pictures. The most-favorite son of Doylestown is author James A. Michener (1907 - 1997), and the downtown cultural area features a fairly substantial Michener Art Museum. The museum is located next door to an impressive local library, and across the street from the Mercer Museum. Pearl S. Buck (1892 - 1973), winner of the 1938 Nobel prize in literature, is sometimes associated with Doylestown. But she actually lived in Perkasie, Pa., a dozen miles to the northwest. Her estate is a National Historic Landmark with guided tours, a museum, a cultural center . . . and it can be rented out for weddings and other functions. But it's Henry Mercer (1856-1930) who has left the largest architectural legacy on Doylestown. He was born into a wealthy family and went to Harvard then University of Pennsylvania law school. Instead of practicing law, he became an amateur archeologist, artifact collector and tile maker. He spent some time studying in Germany, and built his Moravian tile works to create primitive-art ceramic tiles that, to him, were an antidote to the industrialization of the 19th century. Today you can see his Doylestown home, Fonthill Castle, which is almost as ugly as his Mercer museum, but not quite as ugly as his Moravian tile works. But give him credit. Moravian tiles can be found in the Pennsylvania state house in Harrisburg, the Rockefeller estate in New York, the St. Louis public library, and even a few places in Europe. Today the tile factory is still operating, churning out cute little tiles for the tourists. Downtown Doylestown is a thriving mini-metropolis, with lots of restaurants, bars, shops and stores. And lots of law offices. For the county court is right in the middle of town, along with county offices, town offices, and rows of historic buildings. One other thing impressed me about Doylestown. I saw a number of Hillary signs, and a few Trump signs -- two opposing placards were right next door to each other! And no one had defaced any sign, ripped it up or slashed it with graffiti. In other words, people seem to be civil to one another here -- to disagree without calling each other names or getting really nasty about it. Perhaps there's hope for America after all! As I mentioned in my last post, B and I have attended a series of retirement seminars in the past few weeks, hosted by our local senior citizens center called Founders Hall. The moderator told us that we would be covering every aspect of retirement, except for money: How to find new meaning in life. What to do with your time. Whether to stay in your old home, or relocate to a retirement mecca. And yet, the most important lesson I took away from this week's seminar hit the question of money right on the head. The lesson doesn’t involve any practical tips, like downsizing your living quarters or paying off your mortgage or starting to sell your old furniture on ebay or your new craft projects on Etsy. It involves an attitude adjustment. When the moderator asked for questions or comments, or personal stories about how people handled retirement, one fellow stood up. He was in his mid-to-late 60s, dressed in casual, unremarkable clothes. He apologized, saying his wife was a volunteer at Founders Hall, so maybe he shouldn’t be talking. But he just wanted to add one thing to the discussion about starting a new life in retirement. He told us that he had retired from a computer company about three years ago. He used to run a department, and he had a number of people reporting to him. He said he’d been with his company for almost 40 years and toward the end he made a pretty good salary. He confessed that he had spent most of it, on a house and new cars and travel and his kids. Yes, he had funded his retirement accounts, but when he retired he was still a little worried about having enough money to maintain his lifestyle throughout retirement. But the real problem, it turned out, was that after he retired he felt disconnected. He had no purpose in life, no focus. For the first few months he would go with his wife to the grocery store and follow her up and down the aisles, until one day she leveled a look at him and said, “This has got to stop!" Still, he didn’t know what to do. When he was working he had places to go, people to see, and a schedule to keep. Now he had nothing. When he was working, he had performance reviews, which gave him a kind of report card on his life. He got raises and promotions, and had the money to buy most of the things he wanted. His job had defined his life. He took some pride in telling people where he worked, and he "kept score" by how much money he made, how many people reported to him, as well as the money he spent on travel, cars and his house. But now realized that he had to come up with a different way to define himself, and a different way to keep score. He considered taking up golf or fishing; but when he really thought about it, he realized that didn’t interest him. He knew he had certain skills, and finally, prompted by his wife, he decided he could apply those skills to help people around town. So he talked to a friend, who suggested he attend a meeting of the men’s club, and that eventually led to Meals on Wheels. So today, he spends two afternoons a week delivering meals to senior citizens. He also found himself at the library last winter, helping seniors do their taxes. Then in the summer he checked out the Volunteer Match website, and was linked up to work with Habitat for Humanity. Last year he and his wife sold their house and moved into a condominium. He was tired of taking care of his yard and repairing things around the house; and besides, with the kids long gone, he just wasn't interested in his house anymore. Instead, he was interested in spending time with his new friends and helping out around town. He and his wife don’t travel much anymore. They haven’t bought a new car since they traded in the family SUV for a Honda sedan almost ten years ago. He doesn’t miss his house, or the travel. And he doesn’t have to worry about his finances anymore. Why? Not because he has more money; but because he spends less. Because now he defines himself not as a computer programmer and affluent member of the community, but as a volunteer who helps out other people in his community. B and I have attended a couple of retirement seminars hosted by the senior center in our new town. We like the senior center, because instead of calling it the "Senior Center" they call it "Founders Hall" . . . which sounds much more appealing, especially for younger retirees like us, who have yet to reach our three score and ten. Founders Hall offers a variety of lectures and seminars, as well as fitness and exercise classes. B signed up for a drawing class. I started taking a bridge class. I played a little bridge when I was younger, with my family and in college, but haven't opened a bid in 40 years. So now I'm learning how to play all over again. B and I both also signed up for pickleball. It's the latest craze for senior racketball players. The game is played on half a tennis court, with a paddle and wiffle ball, and since it's almost always played as doubles, there's only a quarter of the running you do playing singles tennis. It's seems like a fun game. If my knees hold out (as they did not when I moved on to play competitive table tennis) I think I'll enjoy the game. This is a relatively affluent town with a lot of upper-middle-class professionals living here. We met a couple of people who'd retired from IBM. One fellow was an engineer at a nuclear power plant. There were a few teachers and several professional business types. These are Type-A achievers; not Type-B couch potatoes. So the main topic of the seminars revolved around the questions: How do you stay busy in retirement with activities that are meaningful to you? And how do you replace the social aspect of working in an office, and the structure of your life which used to revolve around work? And what do you say to people who ask: What do you do? You can no longer say with pride that you're a lawyer, or a teacher, or you work for IBM. You've lost your identity; and the answer is, you find a new one. You create another role for yourself. You focus your life around a passion you might have, or a set of interests that are important to you. The idea is to create a purpose to your life, rather than just randomly latching on to one activity and then another. So the idea is, maybe your ambition is to travel to all seven continents, or see the seven wonders of the world. Your new role is being a traveler . . . hopefully not just as a tourist, but to purposefully expand your world view, bring some understanding to others; and perhaps even help out people who are in need. One fellow in the class said that he's an outdoorsman. He had never had much time for the outdoors when he was working, other than an occasional camp out. But now he's planned some major hikes. He has set a goal of walking the entire Appalachian Trail, and if that works out he might tackle the Pacific Crest Trail. Who knows whether or not he'll ever get there. But it gives him an objective, a goal, a mission to work on in a focused way. A purpose to his life. Others in the seminar said they want to be a volunteer; or a community activist, or a grandparent involved in their grandchildren's lives. One person ventured that she was always afraid of flying; and she now wants to overcome her fear and has started taking flying lessons at our local airport. She considers herself an adventurer. B and I are still working on what our new roles will be. Sometimes I wonder if this kind of retirement seminar puts too much pressure on us -- we can't retire and enjoy ourselves, we have to keep on improving and achieving new things, bring home more certificates and awards. B, for one, says she doesn't have any desire whatsoever to overcome her fears. "I've lived with my fears for half a century," she told me. "Now in retirement, instead of overcoming them, I'm going to finally relax and give myself permission accommodate my fears. Come to terms with them. If I haven't changed in 50 years, maybe it's time to stop worrying about self-improvement and accept myself for who I am." She doesn't want to travel. According to her, travel is nothing more than expensive entertainment. And she doesn't want to spend her retirement just being entertained. She knows she won't find fulfillment in going to movies, attending lectures and playing pickleball. She wants to help people, make a difference in the world, know that people appreciate what she does. I guess maybe she's headed toward the role of volunteer . . . she has a little Type A in her after all. 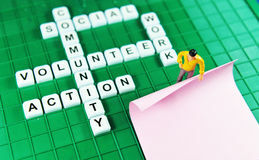 I myself do some volunteering at our community college. I get some satisfaction from that -- helping underprivileged kids write their essays -- but I don't feel that my volunteer job defines my retirement, or my life. Or, to put it another way, I guess I still haven't figured out what I want to be when I grow up. So we are spending a long weekend in Cape May, NJ, aka Exit 0 on the Garden State Parkway. What? Tom, I thought you said you'd just taken on a job. What are you doing, going away for the weekend? Yeah, I took a job. But like I've said many times, when you work in retirement, you work on your own terms. Pretty good terms. You start work, and go on vacation a week later? I guess so. But I told them when I took the job that I would be away for several days at the end of September. And by the way, I'll be away again for a week in mid-October. And they still hired you? I can do most of the work at home. And actually, it's been raining here for the last two days, and it's supposed to rain again tomorrow. So this morning, B went out shopping for about three hours, and I sat on the porch of our homeaway rental, listening to the wind and the rain, and pecking away on my computer. So the weekend's been a washout . . . serves you right! Looking down a blustery Beach Ave.
Well, we have had a lot of rain. But the storm let up long enough for us to walk around a little, have lunch, go visit a brewery. And you know what, despite the rain, the weather seems pretty nice. Right now the wind is gusting, but the rain has stopped. And it's not cold. People don't realize that while Cape May is in New Jersey, it's on the same latitude as Washington, DC. And that, along with the warm September ocean, brings mild temperatures to this southern tip of New Jersey. It's in the low 70s right now, about 15 degrees warmer than at home in Connecticut. So when do you go home, and get back to reality? We're leaving Sunday. We're hoping there won't be much traffic on the Garden State Parkway, since the season is over, the only people left walking around town are the retirees, and it's been overcast so there shouldn't be many people headed home from the beach. And hopefully, we'll be out of here before the hurricane hits. They're saying that Hurricane Matthew might be headed this way sometime next week.